Puss in Boots was very unwell when he arrived at our shelter last month. He's been nursed back to health and is ready to find a new home. Puss in Boots was very unwell when he arrived at our North Melbourne shelter last month. The young cat was suffering from a range of conditions that had gone sometime without treatment. Puss in Boots was underweight, had severe cat flu and gum disease. 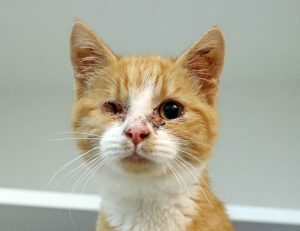 Even more shocking, his right eye was missing from the socket, which was filled with discharge and had eyelids that were stuck closed. “Puss in Boots would have been in a lot of pain,” said Amanda, cattery coordinator at the Home. Nothing could be done to save Puss in Boots’ right eye. To preserve his quality of life, vets in our shelter medicine team performed surgery to remove the eye contents from the socket. Puss in Boots spent a week recovering under the care of our vets and nurses before he was well enough to go to a foster home, where he spent three weeks recovering. Puss in Boots has lots of love to give. He has become a really outgoing and affectionate cat,” said Amanda. 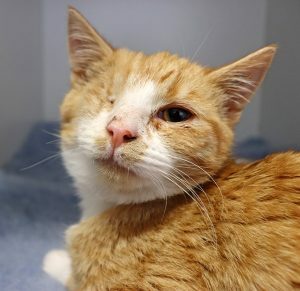 Puss in Boots has already been through so much, but now he is ready to find a new home where he will receive all the love and care he deserves. “He is looking for a home where he can really be part of the family, he loves cuddles and smooches,” said Amanda. Can you offer a special home to a special cat? 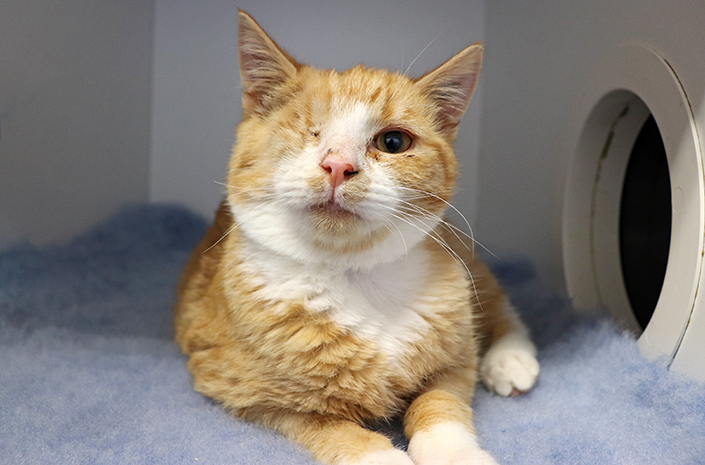 View Puss in Boots’ (ID 1032423) adoption profile or meet him at our North Melbourne shelter.